A highlight of the year at All Souls is the parish retreat, held each fall at the Bishop’s Ranch near Healdsburg in Sonoma County – a wonderful place to be in autumn. The beautiful acres of oak woodland include an enclosed playground and a room-sized tree house, along with a pool, comfortable guest accommodations, a historic ranch house, and a lovely small chapel. 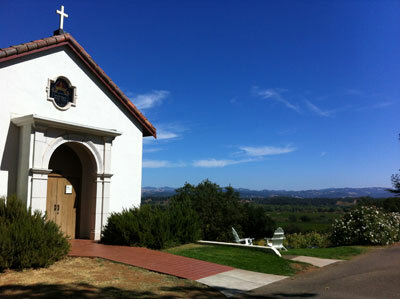 The ranch is owned by the Diocese of California and is pledged to the restoration and preservation of native habitats. All ages participate in reflection, worship, hymn singing, hiking, Bible study, spirituality groups, wine tasting, and just quietly talking with old friends and new. The 2018 retreat is Friday September 14 – Sunday September 16. This inter-generational event includes activities for children, youth, families, and adults of all ages. You can learn more of the details by talking with Emily Hansen Curran, or go ahead and register here!